In the first week of the year, 33 patients with blast related injuries, of which 13 were less than 18 years old, have been treated by Médecins Sans Frontières (MSF) medical teams in Raqqa city. Patients sustain these injuries on returning to their homes in the city that is littered with unexploded remnants of war and improvised explosive devices (IEDs). MSF is extremely concerned by the limited amount of demining activities in the region, due to the shortage of demining equipment’s and expertise. 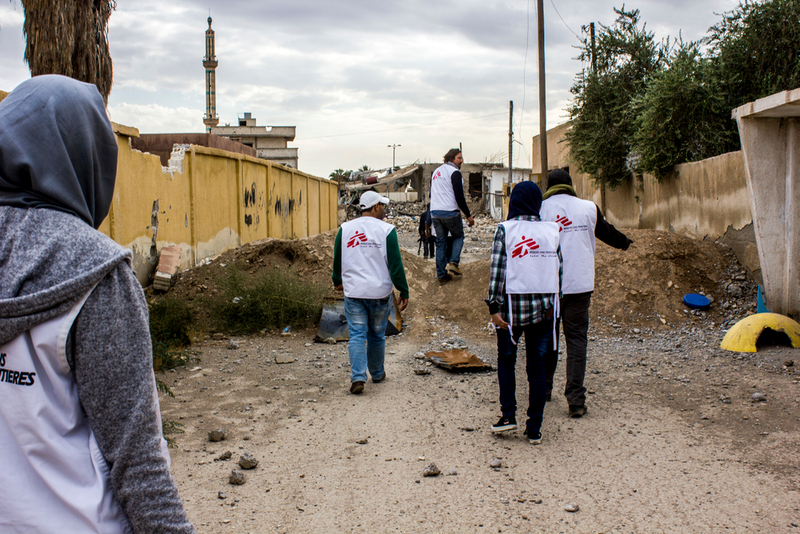 Since the active conflict subsided in Raqqa on October 17th 2017, MSF teams alone have treated 271 people with blast Injuries, 64 of which were already dead or dying on arrival at its clinic doors. Thousands of residents have returned to the city since the intense fighting subsided and a trend of high numbers of returnees is predicted to continue. 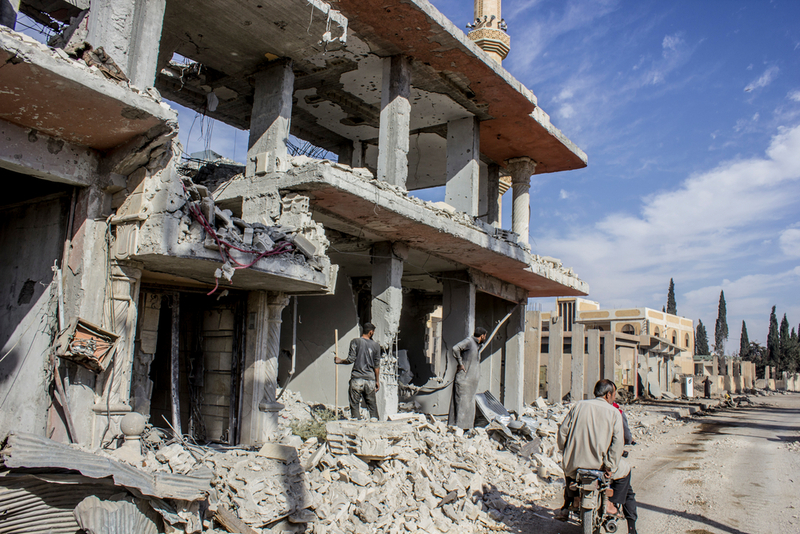 IEDs and unexploded remnants of war remain a major threat for the Raqqa population, and high numbers of blast victims, including children, seem likely to continue in the months to come, unless more demining activities take place. Residents of Raqqa want to be able to return safely to their homes, businesses and fields. MSF strongly calls on all warring parties and their allies, as well as demining organisations and donors, to increase mine clearance of people’s homes and suburbs and increase mine risk education services to protect people from these catastrophic but avoidable deaths and injuries. MSF provides medical care services free of charge to people in need regardless of religion, race or political affiliation. MSF does not accept funding from any government, religious committee or international agency for its programmes in Syria. 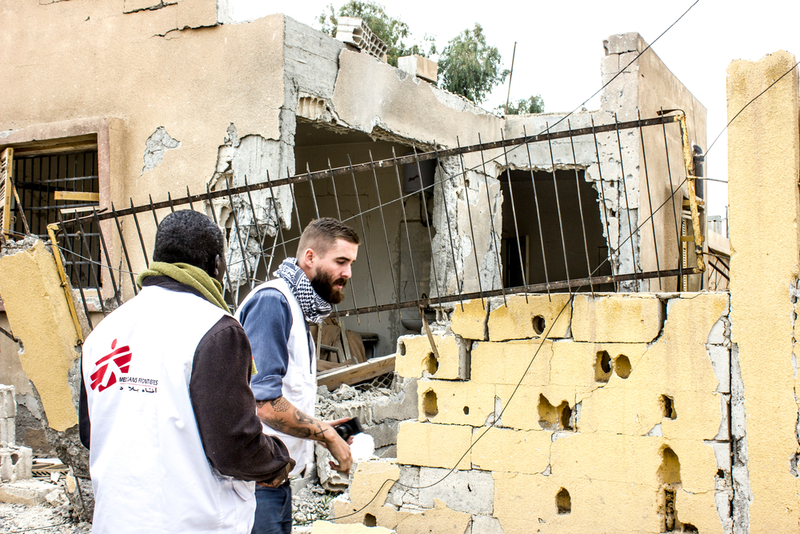 MSF teams assessing the medical and humanitarian needs in Al Mishlab. east of Raqqa city. 2 November. 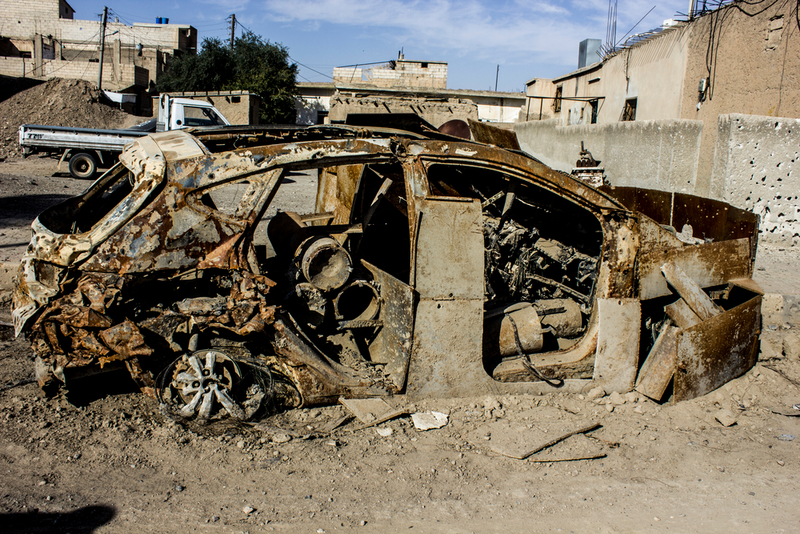 A car that was used for a suicide attack during the offensives in Al Raqqa city. This car might still be a threat for the residents who are going back home. Al Mishlab, east of Raqqa.